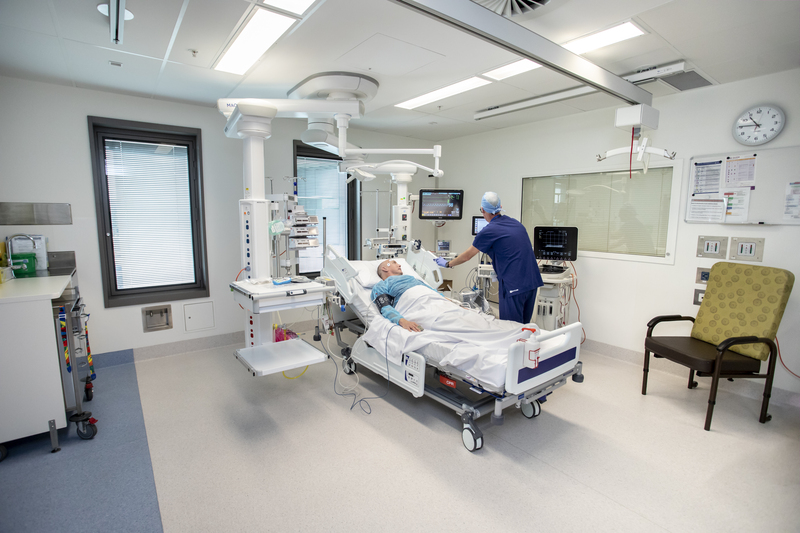 The Royal Adelaide Hospital (RAH) has dedicated facilities for undertaking clinical research, including both inpatient and out-patient facilities and research support services. The RAH Investigational Drugs Service is a dedicated, specialist service for stock management, dispensing, production (sterile, non-sterile, cytotoxic) and other activities related to clinical trial management within the hospital. This service is available to external clients involved in clinical drug studies. The manufacturing facility complies with all aspects of Good Manufacturing Practice (GMP) including the commissioning of a validated Environmental Monitoring System (EMS) for continuous monitoring of temperature, humidity, differential pressure and particle counts. RAH Pharmacy Investigational Drugs Service has extensive experience in handling a large number of clinical trials from Phase 1 to Phase 4 for a variety of sponsors. It is highly regarded by the pharmaceutical industry and is recognised for providing quality service of international standards. SA Pathology is the statewide pathology provider for the public health sector, an institution recognised for the highest standards of medical testing and research. The close interaction between research and diagnostic pathology has led to implementation of many innovative tests that have now become routine. It provides a complete diagnostic and clinical service including a DNA sequencing service. Located on level 3 with entry from North Terrace, the RAH Clinical Trial Centre is suitable for low-risk interventions and follow-up visits. It has 9 outpatient-style clinic rooms. This facility is available for use by clinical researchers across all disciplines of medicine. Facilities: Phlebotomy area, densitometer, patient observation area, work stations for clinical trial staff while observing patients, sample processing and short term sample storage facilities. The unit is managed by a team of highly trained and experienced staff, with a broad range of expertise, experience and qualifications, including medical personnel, registered nurses, science/bio-science graduates and PhD candidates and recipients. The staff have extensive expertise in the dosing and handling of schedule 8 and intravenous and infusion therapies, as well as administration and monitoring of participant involved in first in man and early phase studies. The physical location in the RAH facilitates access to a large number of specialist clinicians, many who require a unique and flexible facility such as PARC to conduct their clinical research studies - or who can provide patient referrals. This highly specialised clinical facility allows for intensive monitoring for narrow therapeutic margin (higher risk) therapies and the non hospital allocated beds allow for overnight and participant studies to be conducted with ease, providing greater flexibility to sponsors and clinicians. PARC operates a 24hour/7 day week testing facility. Facilities: Sample processing and storage.